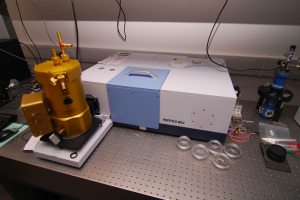 This page lists details of the equipment available within the labs of CAPPA. 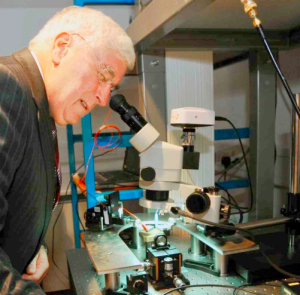 We also have varying degrees of access to other equipment in CIT and the Tyndall Institute, both through existing collaborations with other groups, and through the National Access Programme (NAP). In addition, we can also access equipment at many of the other Irish institutes, through a Shared Access programme. The centre’s scientific research activities are primarily distributed among three laboratories, listed below. An additional two labs are mostly dedicated to industry-related activities (see the Research for Industry page in the Industry section). For details on the experimental techniques used, please see the Techniques page, and for descriptions of the research undertaken in CAPPA’s labs, refer to the Research Activities page. Spectral resolution: 2.5 GHz min. Spectral width: 10 nm max. This section describes the facilities which are most focused on academic research. For additional equipment in CAPPA, which is mostly utilised for industry-related research, please see the Research for Industry section. These additional facilities include an Environmental Scanning Electron Microscope, and FTIR and Raman imaging equipment.